From the public dance hall to the disco, from the smooch to the shake, from the orchestra to the deejay. Daniele Baldelli, one of the first Italian deejays, talks about and reveals the secrets of an era. 1969 saw the professional birth of Daniele Baldelli. It all started, almost by chance, when he was a youngster. He was discovered by a talent scout who was the owner of the TANA CLUB DISCOTEQUE (and had been in France, where he had seen some music bars called: discotheques). So he was interviewed by the disco owner who offered him the job of “putting on the records” as the word Disc-Jockey, at least in Italy, hadn’t been coined yet). Neither mixer or pre-listening device existed, his task was limited to programming records one after the other that had already been chosen by the disco owner. You began by lowering the volume of one of the 45 rpm record turntables and at the same time that you were listening to it, you began to turn up the volume of the other turntable where the other 45 record was ready. Naturally mixing didn’t exist, because it wasn’t a big deal if a gap or mute space between the two songs was heard. It was the dawning of the Dee-Jay, a job still to be invented. Daniele Baldelli, then, didn’t have a model he could refer to and he had no mixing equipment (that would arrive later on), he started to experiment and invent methods that allowed his music to have a certain flow. Briefly, he disliked the pause between one record and another. Since he had no headphones or pre listening devices, he tried to listen to the noise that the needle made when the first track was about to begin, in order to understand the exact moment when he had to turn up the volume, and blast in the groove. Eventually he would mark the different variations of speed on the “LENCO” turntable to have a point of reference, or he would even attach adhesive labels to the records to show the exact point, where the music would start (a practice later copied by the scratching dee-jays, virtuosos of the vinyl records, and of D.M.C. competitions). In 1970 he moved to the TABU CLUB in Cattolica. The music he played in those days could perhaps be divided into two large categories: white music, mainly from Europe and black music mainly from America. We are, of course talking about the 45 rpm (or the 7 inches) that back in the days would cost 600 Lire. The album which cost 3.300 Lire, was almost always a useless expense, because the only dance piece it contained, was also released on 45’s. So in that year, there was a mixture of European records, which where almost always cheerful commercial songs, alongside American soul records, rhythm and blues and funk by artists such as Arthur Conley, Joe Tex, Wilson Picket, James Brown, Rufus Thomas, Lyn Collins, etc. Naturally getting hold of this material was not always easy. Usually the Dee-Jay was limited to the services of the only musical shop present in their town. Daniele Baldelli, however, used to catch the train and go to Lugano (there was a shop called Radio Columbia), and sometimes he would even go to Paris where he was always able to find imported records. Another trend of the evenings in the 70s discotheque was that the fast music was danced like the “shake”, alternating with slow dances. The proportion was 5 shakes and 5 slow dances, then over the years 30 minutes of shake and three slow dances. In 1974-75 BAIA DEGLI ANGELI opened, a club which certainly marked the historical beginning of discos in Italy. Situated on a hill in GABICCE MARE (PS) facing the sea, it was designed on various communicating floor levels. A completely white structure with a panoramic view, having many innovations such as a dee-jay console (which was a lift made of glass, that allowed the dee-jay to move from the first floor to a second-floor while maintaining an overall view of the various internal and external dance floors), it had a mechanical arm with a cage, similar to the type used when repairing high tension wires, full of lighting effects that could even be moved onto the various dance floors. There was also an internal swimming pool (with dance floor) and an external one too, an avant-garde graphic and opening hours that were never seen before : people could dance until 5 or 6 in the morning. The disco was illuminated as it was daytime and no slow dances, only beautiful American music that had never been heard before (six months ahead of the other dee-jays on the Adriatic Riviera). Two American Deejays were responsible for the music choice at first: TOM SISON and BOB DAY. After a while, everyone started to have mixers – headphones – pre-listening devices and monitors, but they probably didn’t know how to use them properly. Daniele Baldelli was certainly lucky to be near the Baia Degli Angeli, and it certainly contributed in a positive way to his technical evolution as a deejay. He learned for the first time, by watching the two American dee-jays, how to execute the perfect mix. In order to mix two records, the 12 inch record (that appeared on the scene as a big single track record which was more practical and suitable) was put on top of a 45 record in its paper cover, instead of laying it on the rubber cover of the turntable: in this way the speed of the playing 12 inch record could be corrected with the simple pressure of a finger without affecting the turntable speed. The deejay was finally able to slow down or accelerate the beat by hand, overlapping the same rhythms between two different songs. It was a great surprise for Daniele Baldelli to receive Bob Day and Tom Sison congratulations one afternoon when they were casually listening to his music in the Tabu Club. They were so impressed that they recommended him to the owner of the Baia as a replacement at the end of their contract – and they even left him as a really appreciated gift, a dedicated autographed copy of LOLEATTA HOLLOWAY’s record “Hit and run”. In those days Claudio Rispoli (artistically known as Mozart) was also contacted, so the two set off together on their great adventure: BAIA DEGLI ANGELI 1977/88. COSMIC opened in 1979 in Lazise on Lake Garda. The intention of the Cosmic founder, was to create something alternative. The logo of this new disco was composed by the word COSMIC that would advance at high speed towards the viewer, crashing a glass that symbolically had terrestrial landscapes painted on it (image clearly inspired by one of the Commodores covers). The dee-jay Daniele Baldelli who was been listened and appreciated in 1977-1978 at “Baia degli Angeli” in Gabicce Mare (PS), was their final choice. Everything started with the idea that the music had to be the main element of the project. Furthermore, the discotheque that was made for 1,200 people and had a dance floor for 700, also had a lighting and sound system that was certainly something never seen before. The interest created on the first inauguration evening, gathered a number of people so high that the inauguration party had to be repeated for the next four evenings: each night was a sold out. Very soon the fame of “COSMIC” spread over and within a few months reached the provinces of Verona, Brescia and Mantua. The disco within a year, became the meeting point for all “trends” and remained so from 1979 to 1984. In the discoteque parking lot it was possible to see cars coming from Palermo, Udine, Naples, Turin, Innsbruck, Florence etc.. All of the trend setters of the Peninsula booked a Saturday evening at “COSMIC”, anxious to participate and listen to that musical phenomenon labelled “AFRO”. Naturally, even if it is still used today, this term was inappropriate, unless one considers Afro as the only root which influenced the various musical styles of Daniele Baldelli. In fact, even if various periods in the history of “Cosmic” can be distinguished (that of Funky – Disco in the first year to that of Electronic in 1980-82, followed by moments more influenced by Reggae, Fusion, Jazz and Brazil), Daniele Baldelli’s Afro style was expressed when he played Ravel’s Bolero overlapping it with a track by Africa Djola, or an experimental piece by Steve Reich on which he would mix a Malinke chant from New Guinea. Mixing the T-Connection with Moebious and Rodelius, discovering in the album Izitso the only hypnotic-tribal track by Cat Stevens, extracting Africa from Depeche Mode by playing them at 33 rpm or vice-versa by creating music using a Reggae voice played at 45 rpm. Mixing 20 or so African tracks on the same electronic drum pattern or by playing them together in batucada with Kraftwerk, using the same electronic effects of a synthesiser to overlap pieces by Miram Makeba, Jorge Ben or Fela Kuti and also by uniting the Indian melodies of Hofra Haza or Sheila Chandra with the German electronic sounds of SKY RECORD. Even if largely emulated or taken as a reference point, the Daniele Baldelli of that period was only: fruit of his fantasy, musical passion and his technical research, which allowed him to be creative and experiment with various styles without following set patterns or models. 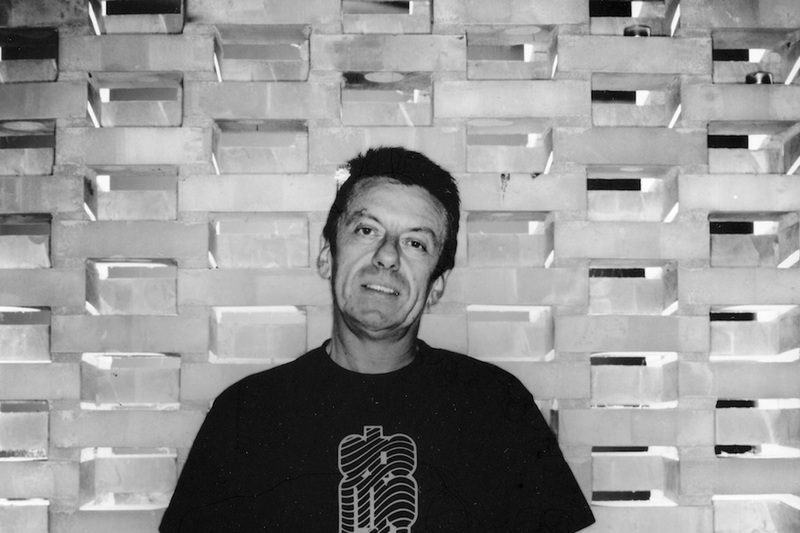 Without doubt, one can say that Daniele Baldelli was the precursor, to what is known as today, as the dee-jay. Starting in 1969 when neither mixer nor headphones for pre-listening existed, up to the invention and use of electronic drums, synthetizers and the first sampling systems in discos, which only had four seconds of memory. In 1980, Daniele Baldelli invents the “Dee Jay concert”. Consisting of four turntables, two mixers and electronic drums or live percussion, 80 to 100 tracks were mixed in not much more than half an hour: a supermegamix was born, everything being carried out live. Another novelty of “Cosmic” was the equalizer, which was used as a musical instrument, intervening rhythmically on the keys and cursors, where various frequencies could be manipulated, creating accentuation on the “Cymbal” or on a voice or base. The mix was another characteristic or almost an obsession of Daniele Baldelli, who literally spent his time by listening to his records (today almost 60.000) in order to find the ideal moment where two pieces could overlap and create a third one. The “Cosmic” closed its doors in 1984.